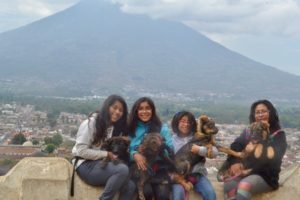 United for Animals is a small animal welfare group based out of La Antigua, Guatemala. Our primary focus in sterilisation, and we hold monthly low-cost spay and neuter clinics in and around Antigua. We bring in a limited number of lost, injured, and abandoned animals. We treat, vaccinate, sterilise, rehabilitate and train the dogs we work with before placing them in loving homes. Why are we different? Because we truly rehabilitate our animals before placing them. Our pets are socialized and trained using positive reinforcement techniques. We thoroughly evaluate and know each of our dogs and cats, and test them in as many different life situations as we can . Our animals are kept in a clean, stimulating environment, with many daily activities such as long, off leash walks, group and individual play sessions, training sessions, food puzzles and stuffed Kongs and lots of cuddles. All our dogs have strong basic obedience when placed. All have been thoroughly vetted and are treated by an excellent local vet using top quality materials and techniques. We are extremely careful about our placements, and strive to ensure the very best match possible between our adopters and our dogs. We do very complete behavioral evaluations on each dog, and supply potential adopters with as much information as possible about the pet they are interested in. 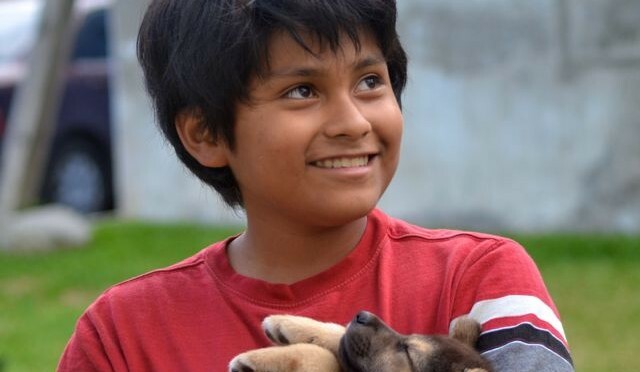 We follow all adoptions and offer training support to ease transitions both in Guatemala and in the San Francisco Bay area, where many of our dogs are adopted. While we are not a no-kill rescue, we do not euthanize for space nor have time limits on how long a dog stays with us. We euthanize only in cases of severe, uncontrollable end-of-life pain, or severe, unmanageable aggression. For dogs and cats deemed “un-adoptable” due to age or medical conditions, we provide sanctuary for life. We offer community and medical and sterilization support to other rescue groups and individuals, and accept animals from other groups on an available space basis. We are a very small facility, and we are always full, with a list of animals waiting to come into our program. Please note that we cannot receive animals rescued by kind-hearted people, although we are happy to offer support in the form of referring to trusted veterinarians and kennel facilities and animal shippers. Our rescue is located in Guatemala, and all the dogs we rescue and rehabilitate are from Guatemala. We place many of our dogs in the US and we are a tax deductible 501 (c) ( 3 ) charity registered under the name Guatemala United for Animals, Inc in the US. 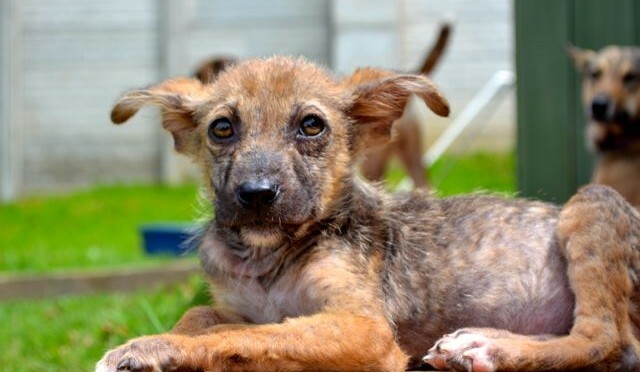 Unidos para los Animales was founded in 2010 by Terry Kovick Biskovich and Linda Green, long term Antigua residents in response to the never-ending problem of sick, injured, and abandoned dogs and cats left to fend for themselves in the street. Both Terry and Linda had individually been picking up strays and rehabilitating and placing them for over twenty years. Feeling that they could accomplish much more by uniting and working together, they decided to join together and formalise their rescue efforts, forming a legal non-profit association in Guatemala, a 501c3 in the US, and uniting to help support the other individuals and groups struggling to address the animal overpopulation and cruelty issues in Guatemala. Since incorporating in 2010, Unidos para los Animales has spayed and neutered more than four thousand owned animals in partnership with our volunteer veterinarian Dr. Jim Bader. In 2018 we plan to sterilise an additional one thousand animals in our area with our expanded spay-neuter campaign. We have rescued, rehabilitated, trained and placed over seven hundred dogs in loving homes.